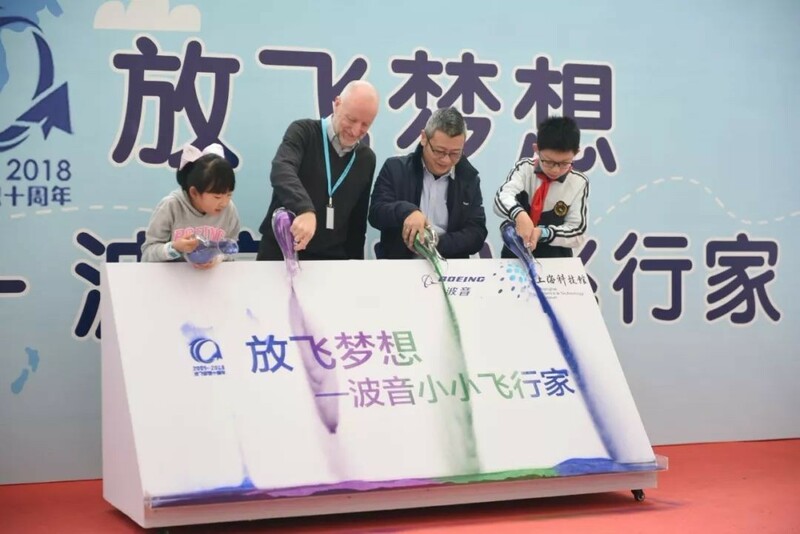 On November 17, 2018, the "Let Your Dream Fly - Little Boeing Pilot" event was officially launched at Shanghai Science and Technology Museum. The teachers and students from No.2 Elementary School of Zhengli Road, Yangpu District participated in the event. They watched an excellent talk show presented by engineers from Boeing, and took part in four educational activities under the theme. In the future, SSTM will accelerate the construction of popular science resources on aviation centering around the theme of "Let Your Dream Fly - Little Boeing Pilot", such as books on popular science, lectures given by experts and science courses, just to name a few, so as to make multi-level and multi-channel learning accessible to more teenagers and enable them to benefit from such learning in the future.